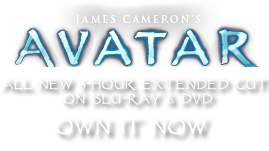 Fan Lizard | Pandorapedia: The Official Guide to Pandora | Own AVATAR on Blu-ray & DVD Now! Understandably, the fan lizard is a favorite among young Na'vi, who cherish this natural spectacle. At every opportunity, a Na'vi child will run through a field of ferns to disturb a group of resting fan lizards, and then marvel as the luminous magenta and purple discs float to the safety of a nearby branch. In the Pandoran twilight, this shimmering flight is strangely alien even to the Na'vi. An ancient dance (usually performed by children) celebrates the lizard. Two dancers stand side by side to create a rigid "spine." Another group of children run by and taunt the pair, at which point the entwined dancers "unfurl" into a circular shape and "float" in a zig-zag pattern through the other dancers. This dance is usually accompanied by hufwe or "wind" instruments. Taxonomy Fanisaurus pennatus or “winged fan lizard”. Habitat Rainforest, with a preference for large ferns. Anatomy Spine-like structure that unfurls into a magenta and purple bioluminescent membrane. Feeding Ecology Nocturnal land omnivore that feeds on tree sap and small insects. Often feed in swarms. Size Up to forty-five centimeters long in folded position. Roughly one meter across when unfurled. 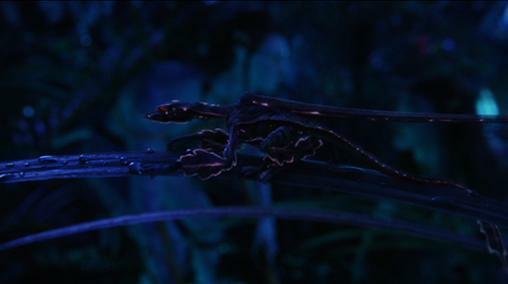 Notes Given the Pandoran gravity and air density, the rapid opening of the lizard produces enough angular momentum to create lift, which startles predators and removes the fan lizard from danger in one move.